Big Sugar controls Florida except for the rain. Managing government regulations and laws are routine costs of Big Sugar business. It takes big money to externalize the costs of pollution, say, or to increase costs to public health as a consequence of promoting added sugar in the American diet. Expensive as lobbying, lawyering and politicking may be, millions per year are only a fraction of the windfall derived from government subsidies and sugar price supports. Floods or drought are other matters. Big Sugar can't plan for too much rain or too little, but in both cases, the effect of weather extremes is to make crop yields unpredictable. Reducing unpredictability to the maximum extent possible challenges every farmer. With so much money at stake, Big Sugar has perfected its tools. That's why Big Sugar practices stage craft relentlessly. It has profit and motivation to keep its adversaries at bay; with strategies and tactics sharpened with focus groups and consultants. 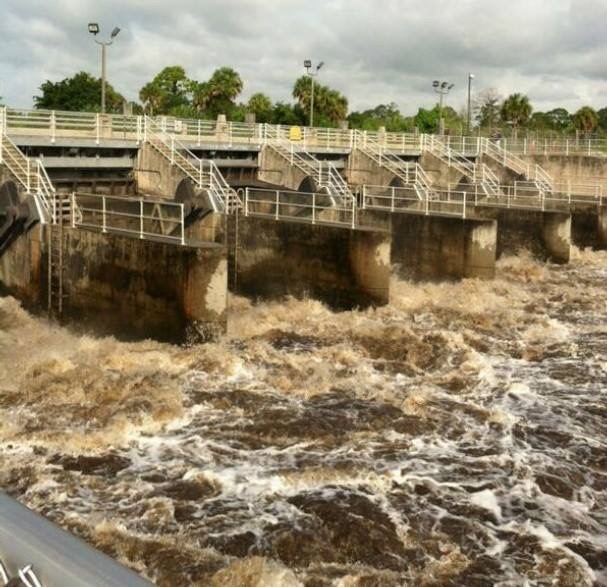 In the meantime, as a permanent matter, Big Sugar keeps a tight grip on the levers of water management infrastructure in South Florida; the most highly engineered and complex system in the world. Big Sugar proxies at the state water management district governing board are now challenging a new law signed by Gov. Rick Scott on May 12, 2017. After the bill was introduced by Senate president Joe Negron, it was first opposed then supported by Big Sugar. There is only reason why Big Sugar would have permitted a law to be passed that it is now fighting. That’s what it planned to do from the first. It is another phase in the industry's permanent war against government regulation. 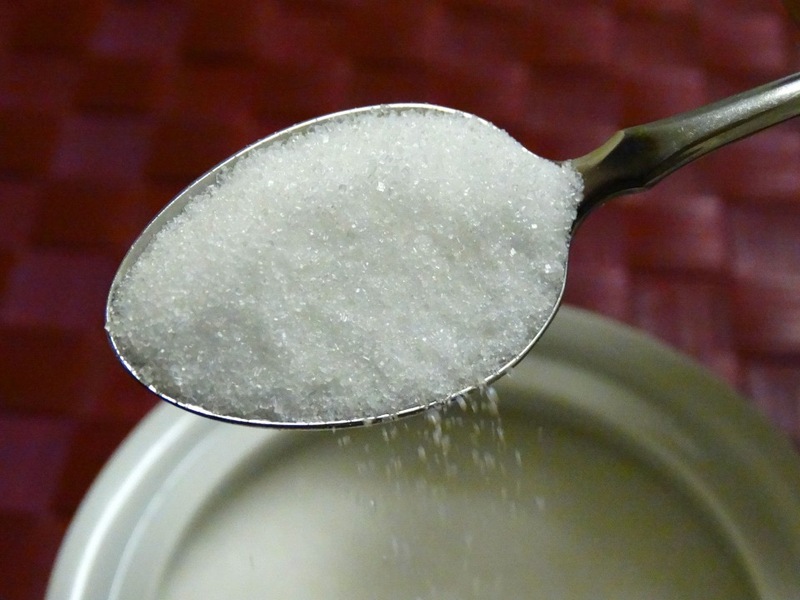 Why would Big Sugar fight an outcome it supported in the state legislature only a month ago? The external husk of the law provides funding for a massive reservoir in the middle of the historic Everglades. Sugar successfully derailed a plan supported by environmentalists and scientists and countless citizens to buy 60,000 acres of additional sugar lands for the purpose of cleansing and treatment marshes. Instead, Big Sugar supported the construction -- with public dollars -- of a 12 foot deep reservoir, comprising nearly 26 square miles with walls over 30 feet high. The kernels of the new law are what Big Sugar wanted. Here's is what Big Sugar got in exchange for supporting a deep reservoir its proxies at the water management district are now fighting: 1) real hard money, 2) a regulatory framework that continues to push environmental restoration so far into the future that most of the actors now on the stage will be gone by the time science concludes whether a billion dollars was well spent or wasted and 3) assurances that if the massive lake — costing at least $1 billion — is built but then fails its purposes, then the public will have to come back to Big Sugar without the most important leverage that government has in the execution of big infrastructure projects: Eminent Domain. The new reservoir will be built atop a porous geology — lime rock — and on public lands that had already been designated for water treatment. Instead of a shallow marsh, Gov. Scott and the legislature approved a deep lake. The same depth as Lake Okeechobee, a breeding ground for toxic algae. Whether or not a massive man-made lake is built, the innards of the new law confer massive benefits to Big Sugar. The fine points of the deal are liquid gold; in addition to prohibiting eminent domain, the law includes a requirement that any deal-making involving public lands farmed under lease by Big Sugar must done on the lessee's terms, and a novel way for Florida farmers to sell rain water to the public at the public’s expense. That last bit is a huge, because a right of private ownership of rainfall never existed in Florida law. Now it does. The backstory is deeply woven in the spirit of a rigged competition for Florida’s fresh water supply. In late 2015 more than 200 Everglades scientists had signed a letter imploring Governor Rick Scott — a Big Sugar ally — to purchase at least 60,000 acres of Big Sugar lands for additional storage and treatment. Their plea was a significant reduction from what environmentalists had pleaded for a decade earlier; an increase of at least 100,000 acres. 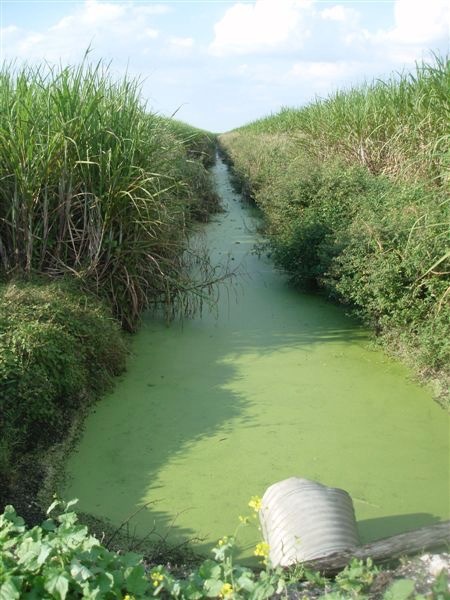 Big Sugar currently farms around 700,000 acres around the southern rim of Lake Okeechobee. Senator Negron couldn’t ignore the logic for land purchase, although it ran counter-clockwise to the exquisitely calibrated time clock of Big Sugar. In 2008, then Gov. Charlie Crist had negotiated an option to purchase more than 187,000 acres owned by US Sugar. Shrinking the cartel would expose new opportunities to reshuffle the political house of cards in Florida. That, in itself, was enough to send the co-cartel Fanjuls/ Florida Crystals into mad orbit. Crist was punished by Big Sugar for his temerity negotiating the option to acquire U.S. Sugar. 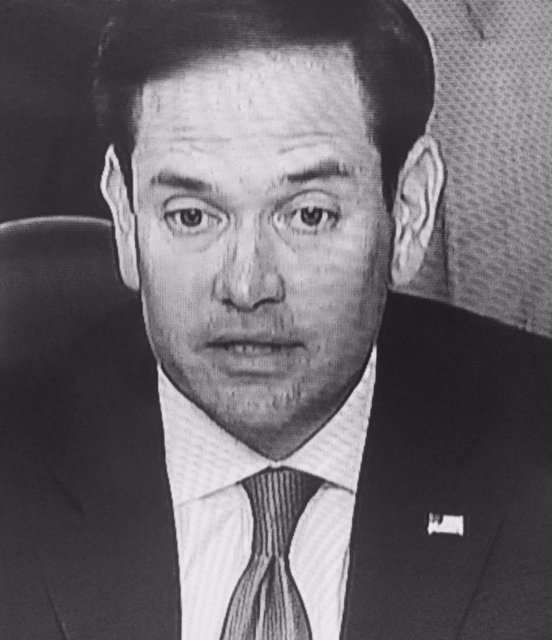 The Fanjuls heavily invested in his opponent, Marco Rubio. As a leader in the state legislature, Rubio had already proven his loyalty to Big Sugar. In the same election cycle, 2010, Gov. Rick Scott — a political neophyte was propelled to the governor’s mansion by his own fortune plus significant sugar money. Fast forward to the winter of 2015/ 2016. In 2015 Roger Stone, Trump confidante, was on Big Sugar's payroll. He paid actors to counter-protest environmentalists and citizens at the water management district as the rains fell. Meanwhile, two Florida candidates for the GOP presidential nomination— Jeb Bush and Marco Rubio — gambled the Florida March primary would propel them to the GOP nomination. Both were favored sons of Big Sugar. And still the rains fell and primarily Republican districts began to join the greens. Property owners and local businesses in Negron's district seethed with resentment. They understood the problem this way: their rights were being used as a sacrifice zone for Big Sugar. The poiednt is critical: Big Sugar has always known its unique vulnerability. Its small decision ranks, populated by very wealthy families, are no match for millions of Florida voters if they are awoken. Senator Negron chose to calm his district. In early 2016 he pledged to dedicate his term as Senate president to legislation that would solve the pollution coursing lifeless, toxic sludge into his constitutents’ backyards. Whether or not Negron knew the acquisition of 60,000 acres of land in sugar cane production was unachievable — a full year before his term as senate president was to begin — and notwithstanding Big Sugar's outrage and outer protestations, the rending of cloth and wringing of hands, a potentially explosive issue had been deflated by the incoming state senate president in a presidential election year. In a state that decided the presidency before. In promising to address land acquisition in the March 2017 legislative session, Negron stripped the presidential campaign in Florida of a toxic mess. Big Sugar, in the meantime, kicked into high gear its campaign to push responsibility for pollution onto any target that could fog a mirror. The industry pushed paid-for media, advertisements, local sugar advocates and recruiting indignant legislators and business leaders from North Florida to complain about the use of available funding for land acquisition. It attacked environmentalists. It attacked scientists. It attacked individuals. It recruited African Americans who would be harmed if their sugar jobs were sacrificed to the environment. The threat of economic hardship was only one salvo. Big Sugar applied pressure against Negron from every direction. Much of it was Kabuki — the theater of well-worn roles where everyone in the audience has seen the play and even memorized the actors’ lines. Big Sugar knew that irrespective of the presidential outcome, the only legislation that would pass the state legislature and be signed into law would be legislation Big Sugar wanted. And it wanted a lot. The public may have thought it was getting an additional 60,000 acres to store and treat dirty water so it didn’t have to be flushed onto their doorsteps. What they got was a bill of goods they already owned. Pull the thread a little harder, and it takes readers back to the early 2000’s. After decades of litigation by environmental plaintiffs and obstruction and resistance by Big Sugar, in 2000 Congress and the State of Florida signed an agreement (CERP, The Comprehensive Everglades Restoration Plan) incorporating the need for vast new, additional storage to cleanse and treat fresh water flowing from the north to the south. Storage capacity is also the bane of Florida’s rivers and estuaries since, if there is not enough storage during flooding, both the east and west coast riverways are used as emergency relief valves for highly toxic water from Lake Okeechobee. CERP never addressed the water storage problem. It proposed, instead, more than 300 aquifer storage and recovery wells to store excess rainfall in what the late John Marshall called “Vertical parking lots”. At the time, the one federal agency with expertise on the technology, the USGS, was not even called in to consult. Deep wells were a technological “fix”, or work-around, to a political problem just like the 26 square mile deep reservoir is, today. No sooner had CERP been signed by both the state and federal government as a consent agreement, the state of Florida — and then Gov. Jeb Bush — set out to make the new law fit Big Sugar’s needs. Bush and then House leader Marco Rubio engineered a weakening of the federal consent agreement through a new 2003 law. Their action triggered another Clean Water Act lawsuit by the Miccosukee Tribe of Indians and a small, grass roots environmental group founded by Marjory Stoneman Douglas, Friends of the Everglades. Eventually, after six years of litigation, the plaintiffs prevailed. Faced with a clear loss, Gov. Rick Scott declared victory. He committed to a new framework agreement to comply with the 10 parts per billion phosphorous standard and earlier litigaiton, committing the state to invest $890 million in Everglades-related water quality projects. This year’s water legislation doesn’t authorize purchase of any new lands and certainly not the 60,000 acres of additional lands deemed by scientists to be the minimum necessary to treat and cleanse polluted water that otherwise dumps on the coasts. "His original project carried a $2.4 billion price tag and would have required 60,000 acres of active farmland, but he agreed to a $1.5 billion compromise that forces the South Florida Water Management District — which had repeated many of the sugar industry's talking points in opposition to the measure — to shoulder the responsibility for making sure the project is completed.” Beyond that, there are a lot of “ifs, ifs and ifs”. Negron navigated the final bill and its provisions with only minimal public comment and practically no ventilation by legislative committees. It wasn’t a sign of strength, so much as of weakness that legislators would do nothing to cross a powerful campaign force like Big Sugar. The deep reservoir plan — the only solution Big Sugar would approve because of its objection to sell any more of its land to the state — contains a major risk: that it will become the same vast breeding pool for toxic algae as Lake Okeechobee, whose toxic waters it is meant to replace. The problem: it will take at least a decade to find out if the lake works. In a balance between certainty and risk according to the provisions of the new law, all the certainty falls to Big Sugar and all the risk, to the environment and taxpayers. We know Big Sugar got what it wanted out of the Everglades Bill because the industry and its lobbyists went dark as soon as the bill emerged from committee in the Senate. When the bill hit the floor of the House, there was opportunity for mischief, but Big Sugar mouthpieces mostly went quiet. There was no House version of the Senate bill. No back-and-forth. The deal had been cut by Big Sugar. Environmentalists trusted not to spill wine on the tablecloth — the Everglades Foundation and Audubon of Florida — had been given a peek inside the tent. Democrats in the state legislature were limp. In-roads by Big Sugar to the African American caucus ensured that there would be no unity of purpose around a stronger outcome. The bill that finally emerged, SB 10, was written in secret with virtually no input by either the public or by the legislature. Public testimony at a single meeting, the Senate Appropriations Committee hearing, was cut short after a few testified, but not before one pleader, a doctor from the Martin County Health System, noted that heart attacks in the community had skyrocketed after the polluted water fouled the St. Lucie River. He attributed it to the stress of people’s whose properties was being used as a septic system by Big Sugar. He only got three minutes. Finally, it was Negron’s role to keep order in the legislature, making sure the bill passed without palpitations of the heart. “Sierra Club supported the Everglades Reservoir bill, which the Governor signed this week. We backed the bill because, on balance, its passage benefited the Everglades and Florida's coastal waters. During the legislative session, Big Sugar enlisted more than 100 lobbyists — a greater number that sitting state senators — to roam the hallways and bars. 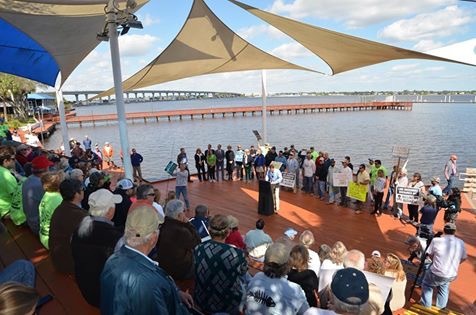 During the 2015/2016 winter, the pollution flowing west through the Caloosahatchee River was as polluted and dangerous as the water to the east coast. A sweetener was added to obtain Big Sugar’s assent: permission to use public dollars to create water storage and treatment facilities on private lands. There is still no clear explanation for why this legislation included private lands, water storage and public funding to engineer new ways to sell rainfall to the public. Not even environmental organizations can explain it, other than to agree: this state law points Florida in an entirely new direction: allowing Florida’s biggest private property owners to sell rainfall that falls on their lands, after treatment regimes that the public may have to fund, back to the public. But that’s not all. A decade ago, Big Sugar supported the Florida branch of the Pacific Legal Foundation, a pro-property rights foundation, to lay the groundwork against eminent domain because the industry knows better than anyone in public or private life that there probably is no other way to fix the Everglades, after all the Rube Goldberg work-arounds have been tried and failed, than to return sugarcane fields to highly engineered wetlands recovery systems. With a stroke of the pen, Gov. 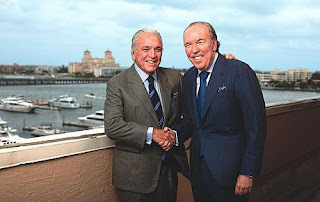 Scott delivered the ultimate prize to Big Sugar: a prohibition against eminent domain in the Everglades Agricultural Area while at the same time providing for the termination of the US Sugar option that would have placed 187,000 acres in public ownership. One last part of the new law: an extraordinary provision that requires government to end leases on lands owned by the public under the following condition; to not only pay Big Sugar for both crops and waste product it has produced, but "to compensate (sic) for any documented, unamortized planting costs, and any unamortized capital costs associated with the lease and incurred before notice.” So in other words, the capital investments of a corporation are being attached to a lease — and if that lease on lands already owned by the public is broken, then taxpayers have to pay for the portion of machinery, plant and capital equipment that might have been used to farm on that land, once or twice a year. Who is going to decide what is a fair allocation of capital costs on an individual lease? If there is no requirement for public disclosure, the question could be asked another way: what state employee would dare to bicker with Big Sugar over its profit? Closing off eminent domain plus terminating the US Sugar option, plus mandating “willing” termination of existing leases by Big Sugar on public lands, adds up to a twelve foot deep reservoir costing a billion dollars that risks leaving Floridians, a decade ago, where they are today. 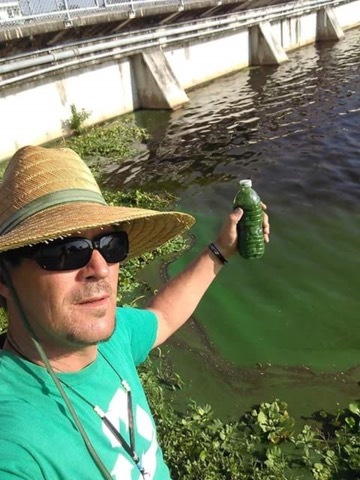 “Stagnant water is at constant risk of toxic algae breakouts.” Harmful Algae Blooms (Habs) caused by the runoff of big sugar’s chemical fertilizers into our bays and estuaries is a big factor in the current “red tide” that is killing dolphins, turtles and vast numbers of fish in SW Florida. Our beaches are empty of tourists. Tell your conservative elected officials that you are watching this and hold them accountable for promoting big business and campaign dollars over clean water and quality fo life. 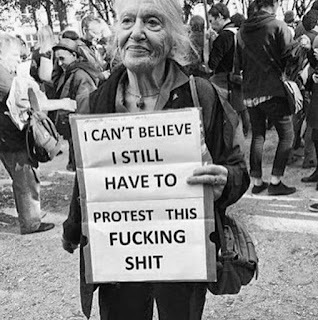 I concur with the elderly woman. Please save the Everglades! I’ve been there 6 times and love it.